Jürgen Klopp insists his Liverpool team are strong enough to remain in the title race right through to the end of the season and keep up a strong challenge. As the Reds prepare to host Stoke City on Tuesday at Anfield in the first of three top-flight games over the festive period, the manager was keen to talk about the strong credentials of his side. Speaking to former Liverpool captain Jamie Redknapp in an exclusive chat with Sky Sports, Klopp gave a fascinating insight into his own thoughts on what is developing into an exciting race at the top of the Premier League table. 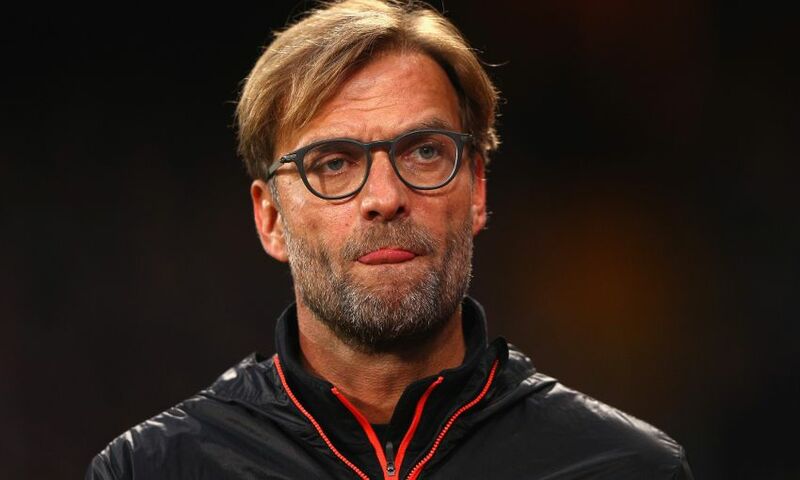 The Reds have not won a league title since 1990 but are currently second in the Premier League behind leaders Chelsea, and Klopp insists now is not the time to dwell on the past and instead stay focused on the future. "We are not the last 25 years. We are now. We are this generation," said Klopp. "Let's do it and let's try it. We are good enough and the club is big enough. We have the owners we need because they don't want to sell players. Nobody should leave here because of money. We are not the best-paying club in the world, but we can pay enough to stay. "This moment at Liverpool is fantastic and we have to use it. We are in the present really good and the future is bright, so go for it. "That doesn't mean that we can't lose games. What really makes the joy a little bit smaller is when we lose a game people say 'that's like the season 2004-05 when we lost to I-don't-know where'. "It's not, it's never the same. We do not have it in our DNA that we lose a decisive game. "We are young enough, we are good enough, we are strong enough and we have an outstanding, skilled team. The only problem is there are a few teams around that have not a worse team, too. “No injuries and a little bit of luck in this game and that game. "Whenever you look back it always looks like Manchester United or whoever did everything right in each game, but they won a lot of games in the last minute and you think it's quality, but it's coincidence most of the time. Very often it's individual quality in a moment or it's coincidence. You need to have the luck. "But you need to be prepared for these moments. You need to make the percentage of coincidence and luck as small as possible. All the rest need to be planned and what we can plan, we do. But then you can still lose a game like we did at Bournemouth. "A lot of people, especially around Liverpool because they have waited so long for it, will say 'that's the game where we lost the championship'. No, it's not like this." Going into their Boxing Day meeting with Bournemouth, Chelsea are on an 11-game winning streak, but Klopp insists there could well be a few twists and turns in the title race between now and the end of 2016-17. He said: "When they go on like this they are the deserved champions, nobody could have a doubt about this. "I am pretty sure that until now Chelsea are maybe the team that have had the most luck with injuries. We lost Phil [Coutinho] and Daniel [(Sturridge] and Danny Ings in difficult moments when you really could use them. "If it's Hazard and Costa at Chelsea, is it the same afterwards? It's a long season and they all have to play us again and not only us, they have to play Arsenal again and all of the others. "Of course they are the team to beat because they are very experienced, maybe the most experienced team in the top flight at the moment."